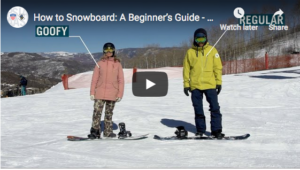 LAKEWOOD, Colo. (October, 2018) – The Professional Ski Instructors of America and the American Association of Snowboard Instructors has teamed up with SNOW Operating (providers of the Terrain Based Learning™ program) to provide a new and free YouTube video series that shows beginner skiers and riders what to expect on their first day. 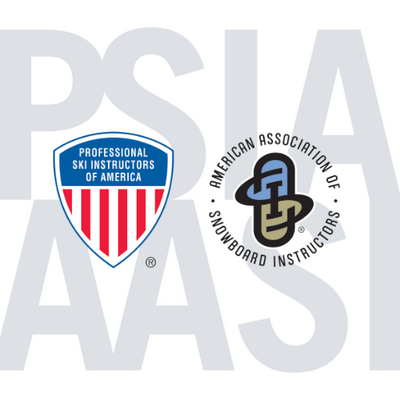 PSIA-AASI and Snow Operating encourages the snowsports industry to link and share these videos in their communications outreach to their current and potential guests. 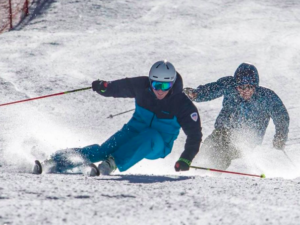 PSIA-AASI CEO Nicholas Herrin said that “as a result, your guests will feel more confident and comfortable getting started, so they can focus on the most important part of skiing and riding when they hit the slopes, having fun!”. The video series is broken out into skiing and snowboarding, so guests can focus on their chosen sport. There are three videos for each discipline, and each video features content provided by a PSIA-AASI Team member, Eric Lipton for alpine, and Chris Rogers for snowboard. Lipton and Rogers cover skills such as how put on socks and boots, carry skis and snowboard, turn and stop, get up after a fall, and ride a chairlift. 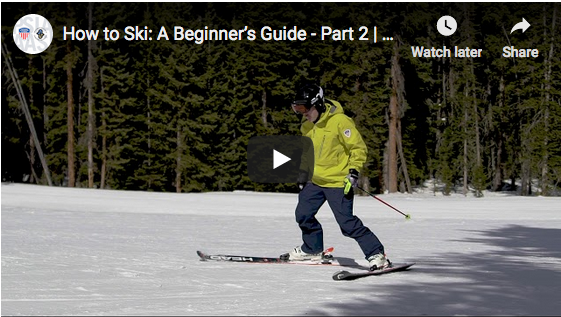 The videos are simple and easy to understand for any viewer with little to no skill or experience in winter sports. “Clear and simple YouTube instructional videos is something we all felt like the industry desperately needed. If you look at how today’s market learns to do anything, from working on their cars to learning how to play guitar, YouTube is the place where they start,” said Hugh Reynolds, Snow Operating VP of Marketing and Sales. The Beginner’s Guide to Skiing and Snowboarding video series is available to instructors, ski schools, rental shops, and anyone else who wants to get never-evers or returning participants excited about skiing and snowboarding. Herrin and Reynolds encourage everyone to please link to or share these videos on your social media channels or play them for guests in person to help them get started and to encourage participation. Encourage marketing departments to include a link to the videos in email communications or post directly on your resort’s website. Instructors can show students the videos on their phone before starting on snow, or resorts can loop them in their ticket or rental operations to ensure high visibility. Herrin explains the course does not take the place of an on-snow lesson, but it does cover the basics so that guests are ready to work with an instructor to build their skills when they arrive at a resort. For more information about the Beginner’s Guide to Skiing and Snowboarding videos, or to talk with Nicholas Herrin or Hugh Reynolds, cited in this article, please contact Katrina Brinkerhoff at kbrinkerhoff@thesnowpros.org or 720.963.4825.